The Teddy Bears run out on to the pitch, the ref blows his whistle, and the game begins. Ibrox? No – Cambodia. Thanks to the efforts of the Hong Kong Rangers Supporters Club, a group of kids in Cambodia no longer have to travel 30 kilometers for a game of football: they have a purpose-built pitch in their home town. The Tonle Sap Teddy Bears are a girls football team in the Battambang area of Cambodia, near the UNESCO-protected Tonle Sap lake and the world-famous temples of Angkor Wat in Siem Reap province. Andy Ross – a lifelong Rangers fan and loyal member of the Hong Kong Rangers Supporters Club – has sponsored the team for many years. In early 2011 he enlisted four fellow members of the HKRSC for a charity challenge: hike the 50-kilometer Hong Kong trail to raise money to build a football pitch. So at 6am one spring Saturday, Scott Semple, Colin Reid, Stephen Lauchlan, and Malcolm Valentine set off from the famed Peak on Hong Kong island (due to a gammy leg, Andy himself couldn’t make the walk). Fifty kilometers and 12 hours later they arrived in Big Wave Bay and promptly fell into the first bar they found: a small Chinese cafe serving Skol lager. Their efforts raised almost four thousand pounds, an enormous sum in a country where many live on a dollar a day. 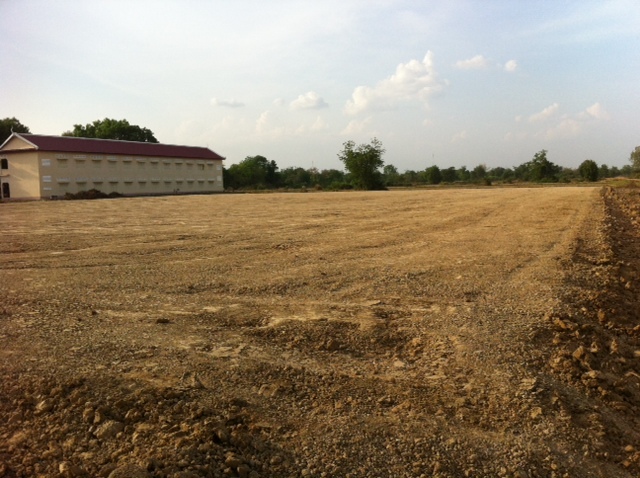 The cash created a football pitch in Chrey, home town of the Tonle Sap Teddy Bears. Local workers removed trees, flattened ground, and put up goals on a patch of land bought with the money raised. The Tonle Sap Teddy Bears now have their own mini Ibrox. 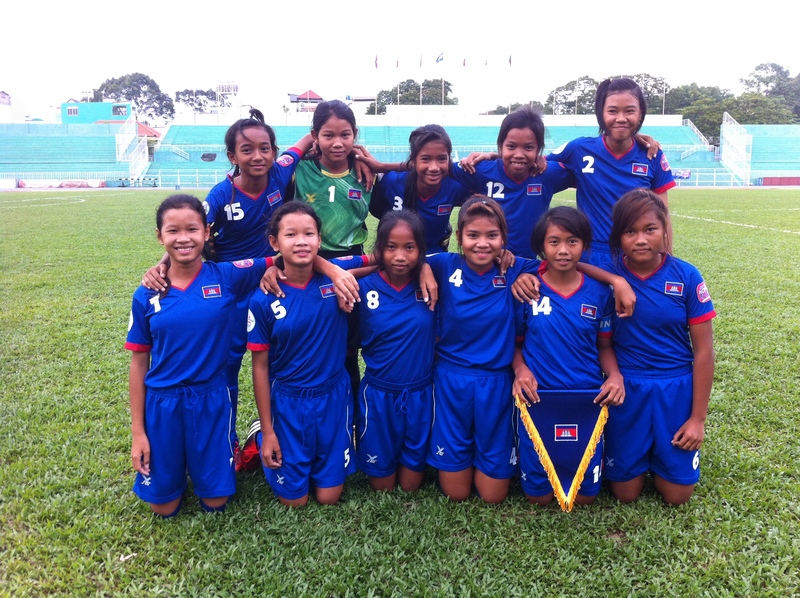 In June, the Football Federation of Cambodia sent an U13 girls squad to play in Vietnam (see the video here). Of the 18 players selected, four were from the Tonle Sap Teddy Bears – including the captain. The head coach had just five days to train his side but they put up a respectable showing, losing out by a single goal against the hosts who had been training together for months. “We are very proud of the girls,” said Ross, who will be follow, following their progress for years to come. If you have uniforms or equipment to the TSTBs, contact us and we will put you in touch with them.